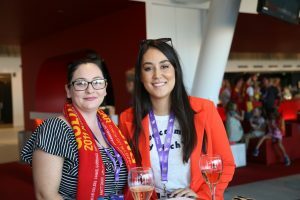 On Sunday 31 March 2019 Bell Legal’s Alex Wynn and Lucille Moala with guests of the firm Christine Stead of SV Partners and Chris Finlay of Advice Solutions Law attended the Gold Coast Suns‘ first home game of the season at Metricon Stadium. After a first half that saw the Suns ahead by just 3 points there then followed a nervous third quarter with the Suns struggling to convert a myriad of chances against their strongly fancied opponents, the Fremantle Dockers who finished that quarter ahead by 9 points. Phew and well done Gold Coast Suns! 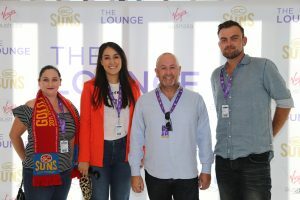 Bell Legal Group are long standing supporters of the Suns and we wish the team all the best for this season.